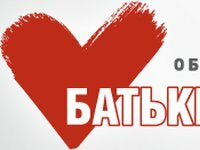 The Batkivschyna Party says it has got information that the authorities are planning to provoke clashes on Kyiv's Independence Square with the involvement of about a thousand young people with a sports background in order to find a reason to announce a state of emergency. This may happen as soon as today, the party's press service said in a statement. "We warn the authorities that we are aware of these plans. We appeal to the people on Independence Square, asking them to be vigilant. We encourage law enforcement officers to prevent massacre and avoid participation in provocations," the party said. "We also ask the international community to pay attention to this information," the statement said. "Let us remind provocateurs and masterminds of this cynical scenario that there are many Ukrainian and foreign journalists working on Independence Square who will monitor all the events," the Batkivschyna party said.